By Frederic Lemieux, Ph.D., Faculty Director, Master's in Applied Intelligence and Cybersecurity Risk Management. This story was originally published on The Conversation. 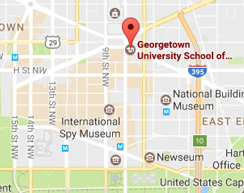 At Georgetown University, I study and teach how the intelligence community collects, analyzes and circulates sensitive information to policymakers and elected officials. I’d like to point out some of the misunderstandings about intelligence activities exhibited not only by the new president, but in the media coverage of the Russian interference in the presidential election of 2016. Correcting these persistent myths is important because they set unrealistic expectations about intelligence production and analysis. These false expectations could damage the credibility of the U.S. intelligence community and its ability to fulfill its mission. Intelligence and evidence are starkly different. Intelligence analysts are tasked with understanding situations that are often multifaceted, forming a judgment about that situation and informing policymakers. On the other hand, law enforcement investigators produce evidence required to meet legal standards of the burden of proof. In a courtroom, direct proof of a crime – such as DNA, fingerprints, witness testimony or a confession – is the best evidence. In the intelligence community, analysts have to deal with foreign intelligence agencies and terrorist groups who have the ability to use counterintelligence measures and disinformation campaigns to deceive U.S. intelligence officers and create uncertainty. It would be unrealistic to expect intelligence agency to always provide “fully proved evidence” in their assessment. Another reason people are skeptical of intelligence is the lack of explanation on how analysts draw their conclusions. Susan Hennessey, a fellow at the Brookings Institution, sent out the following tweet in response to the report. The unclassified report is underwhelming at best. There is essentially no new information for those who have been paying attention. But these criticisms are misguided, in my opinion. The techniques used by the intelligence agencies must be kept secret to avoid revealing U.S. methods and analysis capabilities to our adversaries. Former President Barack Obama has been criticized for not releasing detailed intelligence assessment about the Russian hacks before the election. Some have said that the intelligence community should have warned the public – sooner and more forcefully – about the impact of Russian interference. But these criticisms can be attributed to 20/20 hindsight and illustrate the myth that intelligence officials can somehow predict the future. Despite all the technology available to the intelligence community, we are not yet in the scenario of the movie “Minority Report,” in which special units prevent murders seconds before they happen with the help of psychics and visualization technology. In fact, the intelligence community has had many failures. It failed to foresee the rapid collapse of the Soviet Union, the rise of the Arab Spring and more recently the invasion of Crimea. The intelligence community could not predict the intensity of Russian interference or how close the election would be. Here’s what they can do. Intelligence agencies produce what is called “national security estimates” which represent an combination of analysts’ opinions. These are rated on a confidence level scale that varies from “almost no chance” to “almost certain.” The rating is based on the quality of information, depth of analysts’ knowledge on the issue, the credibility and reliability of the sources used to produce the intelligence and the ability to corroborate with other sources. In other words, intelligence estimates are carefully weighed against rigorous criteria to ensure validity and credibility of the assessment. Even so, intelligence agencies deal with plausible scenarios, not predictions. Perhaps surprisingly, approximately 80 percent of the intelligence used by security agencies is not secret and does not require covert operations. Most intelligence is gathered through “open sources intelligence,” like internet content; traditional mass media, including television, radio, newspapers and magazines; specialized journals, conference proceedings and think tank studies; photos; maps and commercial imagery; and publicly accessible databases. There are two main challenges with “open source intelligence.” Sometimes the information needed isn’t available in digital format, and sometimes it’s not in English. These limitations may sometimes trigger covert operations. But in the majority of cases, intelligence estimates are rather dry reading that includes little bombshell information. Since intelligence requirements can be addressed through open sources, the need for spies is relatively low. Only about 10 percent of the employees of the CIA are covert operatives. Ninety percent are analysts, managers, scientists and support staff. The vast majority of intelligence employees work at a desk and often possess high-level expertise in geopolitical issues, history and international relations. Very few play James Bond in a foreign country. In the United States, approximately 5.1 million people have security clearance to handle sensitive information. Among this group, 1.4 million received a “top secret” clearance. Such “crowded intelligence environment” increases the risk that sensitive information gets released intentionally or unintentionally. During the transition period, President Trump created another precedent by delegating the so-called “presidential daily briefing” to Vice President Mike Pence. While this precedent meant that the intel community lost a regular appointment with the president, it is not unusual for the presidential daily briefing to be read by other people. It has been reported that, during the Obama administration, this document was seen by more than 30 people, including senior intelligence analysts, White House senior advisers, department secretaries and selected ranking members of Congress. 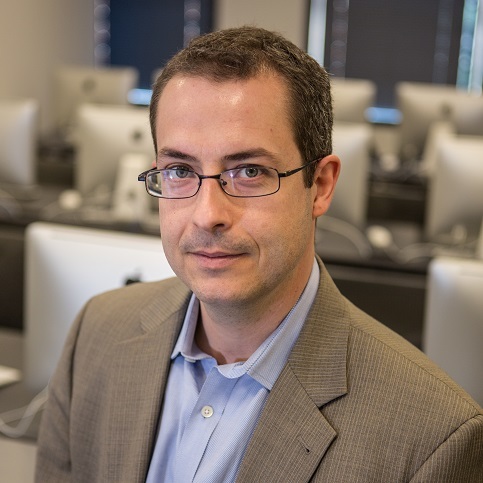 Frederic Lemieux, Ph.D., is the Professor of the Practice and Faculty Director for the master's programs in Applied Intelligence and Cybersecurity Risk Management at Georgetown University. His research has focused on policing, homeland security, and cybersecurity. He is currently conducting studies on cyber defense and intelligence sharing on cyber threats.